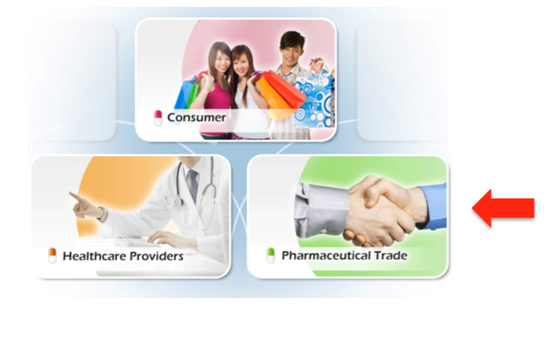 Healthcare Asia (Hong Kong) Limited is fully licensed by Department of Health in Hong Kong to import, store and sell medications by way of wholesale at the premises stated in the licence. You are able to view the license at Department of Health’s Drug office website as shown below. 1) Go to: http://www.drugoffice.gov.hk/eps/do/index.htmland select the language desired. 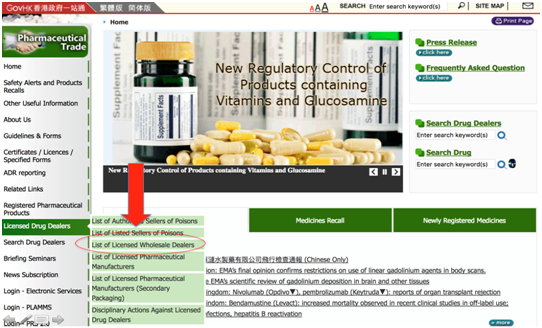 2) At this page, select “Pharmaceutical Trade”.